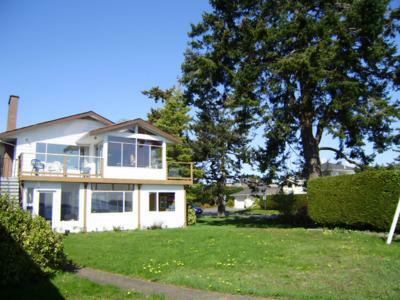 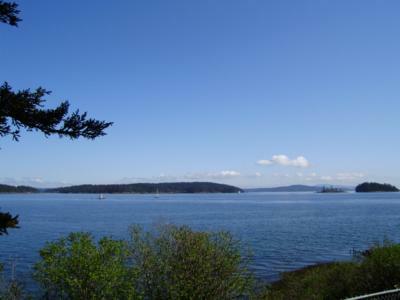 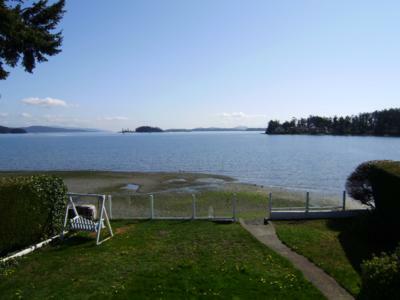 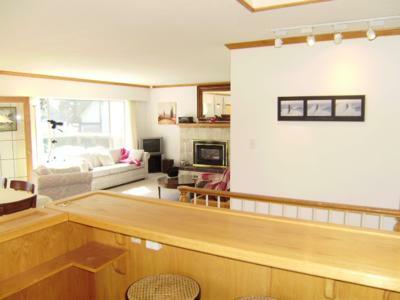 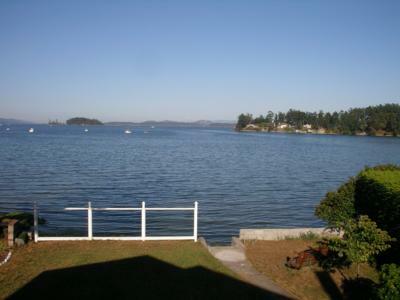 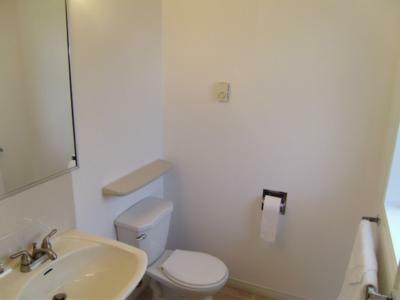 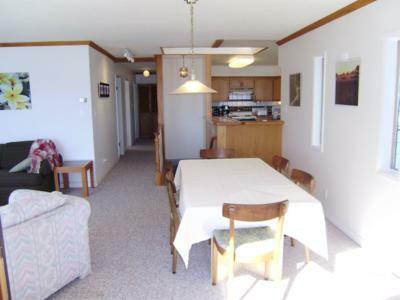 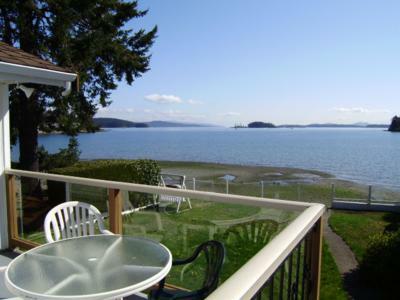 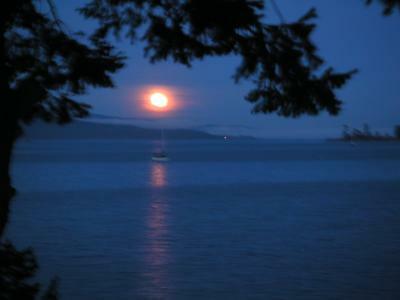 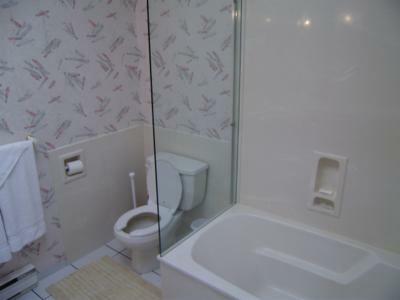 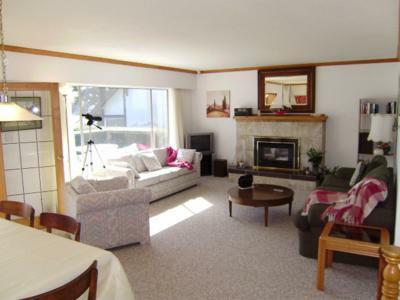 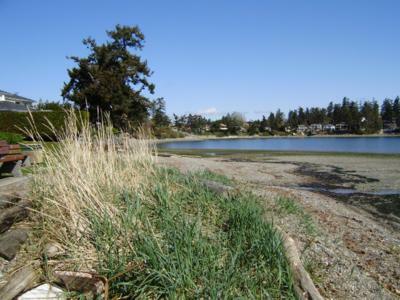 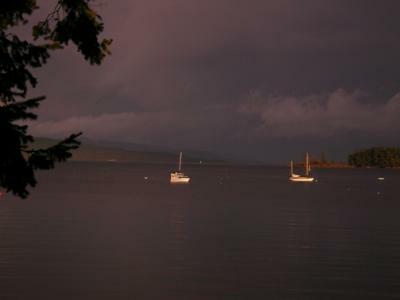 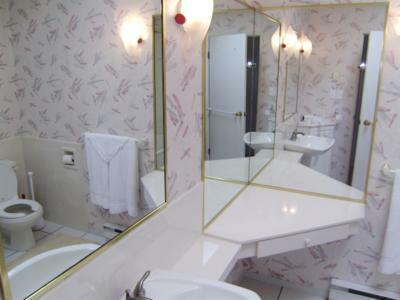 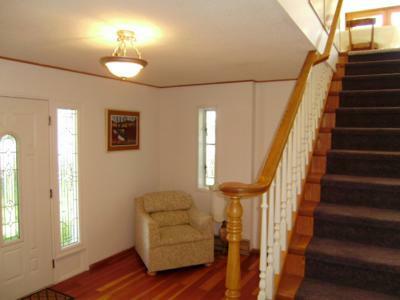 Eagle's Nest vacation rental suite is located on the shore of Roberts Bay in Sidney BC. 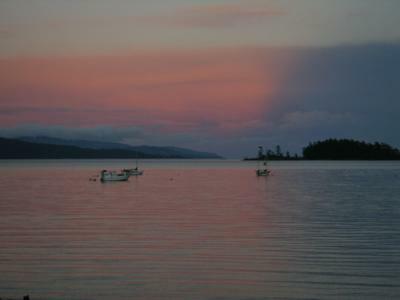 Wake to pink sunrises that silhouette the distant white peak of Mount Baker and highlight the ripples of seabirds paddling the flat calm of Roberts Bay. 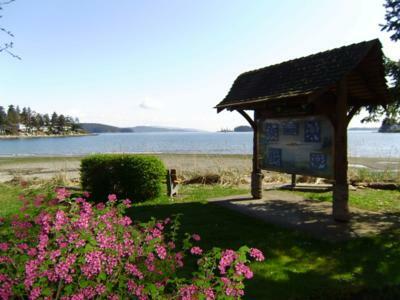 Watch colourful kayakers setting off to explore Gulf Islands National Park. 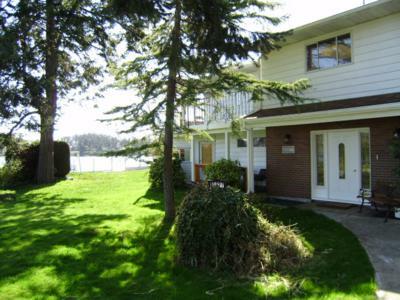 Amble a few minutes along tree lined All Bay Road to coffee shops, fine dining and pubs intermingled with the marinas and yacht charters. 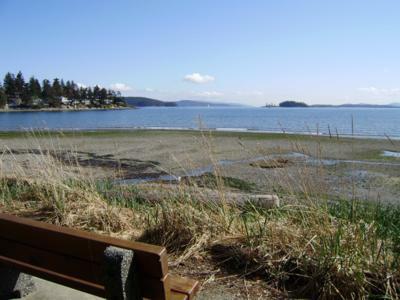 Walk a mile or so the other way to Sidney-Town with all its busy charm and pedestrian friendly activities or take the bus into Victoria BC. 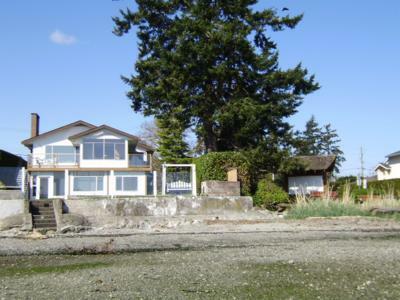 Eagles Nest comprises the complete 1600 square foot upper level of this waterfront house. 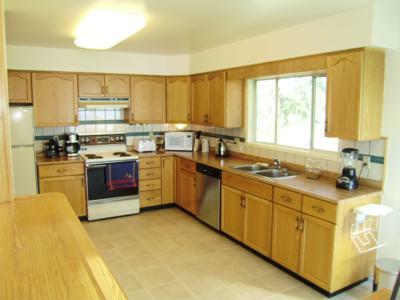 The spacious kitchen with attached patio allows for shared culinary productions and for barbeque masters. 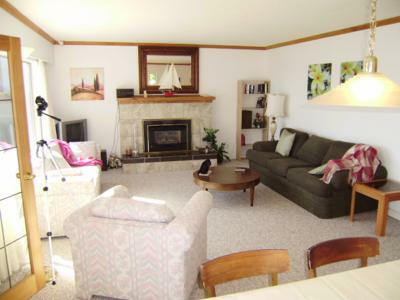 There is a living room with gas fireplace and 42 inch wide screen television, sun room, three outdoor patios, two bedrooms, two bathrooms and a TV/media room. 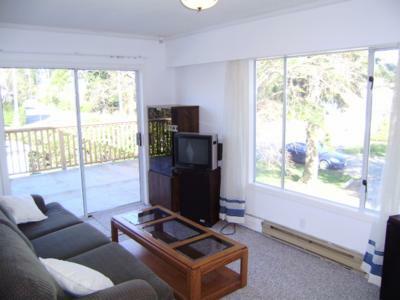 Two sofa beds are also available. 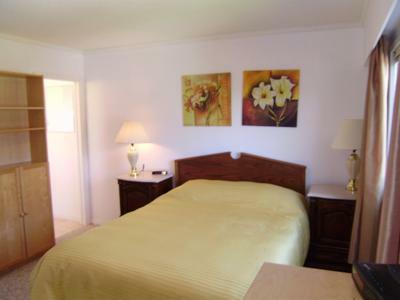 To make this a true vacation home there are libraries of music, videos and books as well as board games. 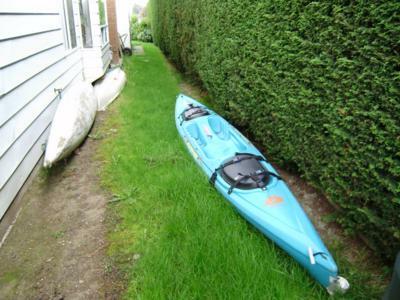 For those comfortable on the water, two sit-on-top kayaks are available to explore the sheltered bay. 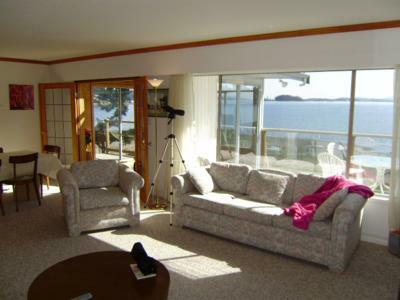 Binoculars and a telescope are provided those enjoying a cuppa java in the sun room or for gazing at the night skies free of city light pollution. 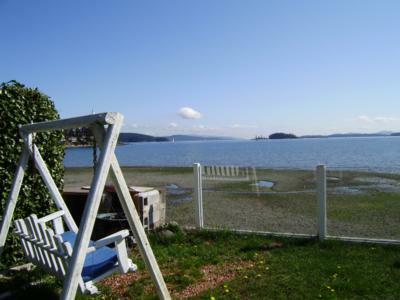 The Eagle's Nest vacation home is intended for couples and families who enjoy the peaceful waterfront environment while also having access to the multitude of activities and facilities available in nearby Sidney-By-The-Sea, Victoria, and the Saanich Peninsula. 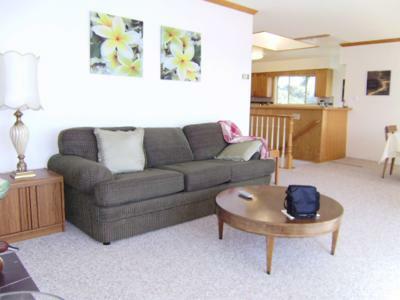 Queen size sofa beds in the living room and media room. 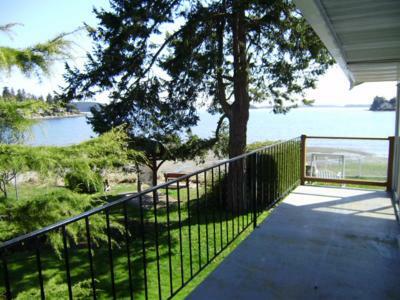 Eagles Nest was excellent! 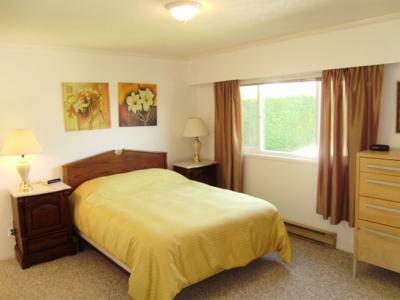 We stayed in many different types of accommodation during our vacation to Canada and this was our favourite. 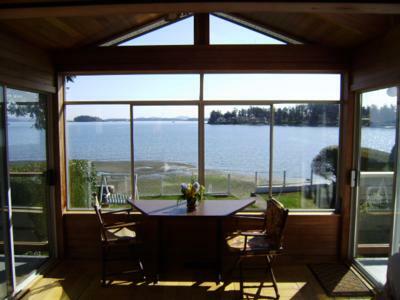 Beautiful sunsets and views of wildlife from the sun room gave hours of entertainment as well as walks along the bay in the early morning. 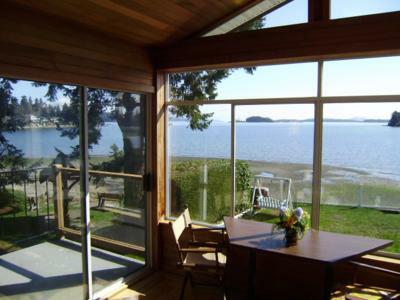 We were most impressed by the location, a quiet yet friendly place in Roberts Bay, and within easy reach of the highway to explore the islands offerings. 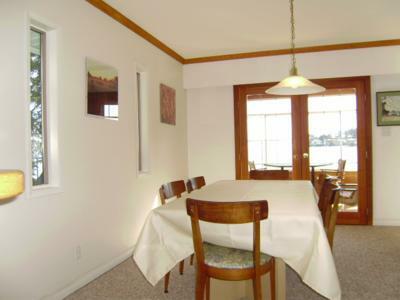 Some lovely restaurants overlooking the bay just walking distance down the road made it easy for us to eat out locally. 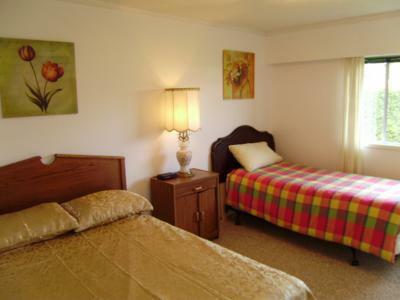 Eagles Nest had everything we needed as a family, it was just like home. 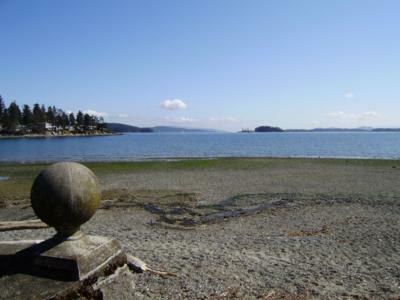 We would definitely come here again if we were to stay on Vancouver Island. 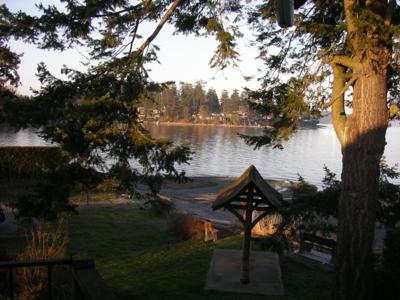 Thank you for making our holiday special!